​Manchester City manager Pep Guardiola launched a '30 minute inquest' with his squad in the dressing room following their 2-1 defeat to Newcastle United on Tuesday. Having taken the lead inside the opening minute through Sergio Aguero, second half goals from Salomon Rondon and Matt Ritchie inflicted City's fourth league defeat of the season, handing Liverpool the chance to extended their lead at the top of the Premier League to seven points, although it only increased to five following their draw with Leicester. 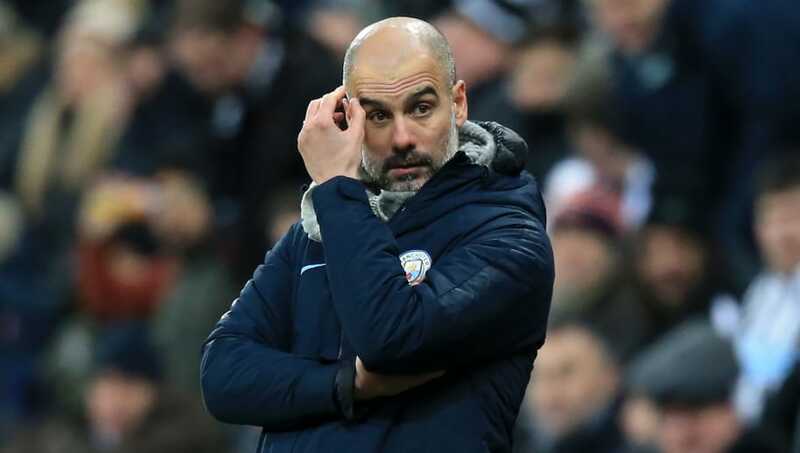 According to ​The Mail, a source claimed that Guardiola gave his ​City side an 'unusually long debrief' following the final whistle, in which 'raised voices' could be heard from the tunnel. The Spaniard's post-match tirade at his players apparently lasted so long that he was unable to say farewell to his compatriot Rafael Benitez, with Guardiola and his first-team coach Rodolfo Borrell initially intending to share a glass of wine after the match. Guardiola acknowledged after the game that his side underperformed, although accepted that results and performances such as the one at St. James' Park can happen over the course of a season. As quoted by ​Sky Sports, he said: "It was not our best night. We were not at our best, sometimes that happens, I can understand the players. I love these players. "I know how they feel right now and I am beside them, close to them. It's an incredible group. Sometimes it happens." City now enter a tough run of fixtures, with the reigning ​Premier League champions playing Arsenal, Everton and Chelsea in their next three games, although Guardiola ​hasn't given up hope on retaining the title, claiming 'anything can happen' between now and the end of the campaign.